Situated just outside Newport within acres of picturesque countryside is Newclose County Cricket Ground. Its central location and ample free parking make Newclose an accessible venue. 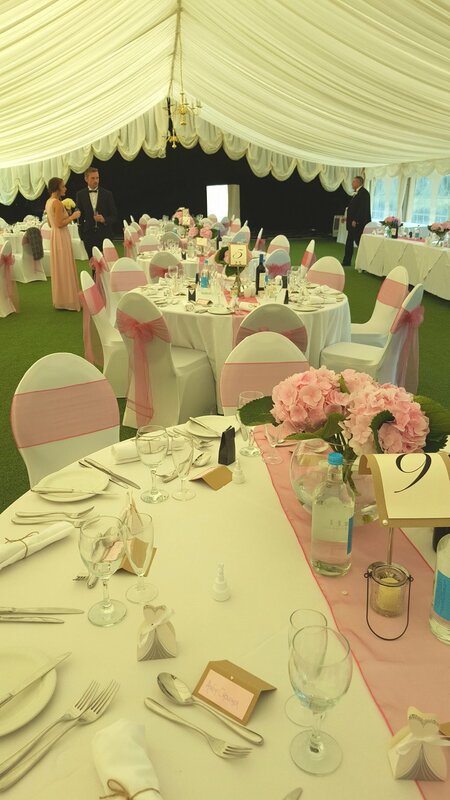 We can create a wedding to suit all tastes and budgets from the lavish luxury of a summer marquee wedding to an intimate gathering in The Pavilion which can host 50-100 guests. The Pavilion is available all year round and boasts beautiful unspoiled country views providing an unrivalled backdrop for your special day. The Pavilion can seat 80 guests for a traditional sit-down meal or more if you opt for a buffet style celebration and there’s room for a dancefloor. There is a fully licensed bar and the convenience of ample free parking. The Pavilion is also very affordable with exclusive use hire prices starting from just £500 inclusive of VAT. There are many catering options available including cold finger-buffets to three-course wedding breakfast. Our events manager would be delighted to talk you through all the options.